Though Mexico is only one-fifth the size of the continental United States, it is home to nearly two-thirds as many freshwater fishes as those that swim the waters of the United States and Canada combined. Mexico’s diverse freshwater fauna can be attributed to the country’s highly varied physical geography, a wide latitudinal range, the largest river system in middle America, and, ironically, its oceans—many marine groups left the brine for the inland springs and never returned to the sea. 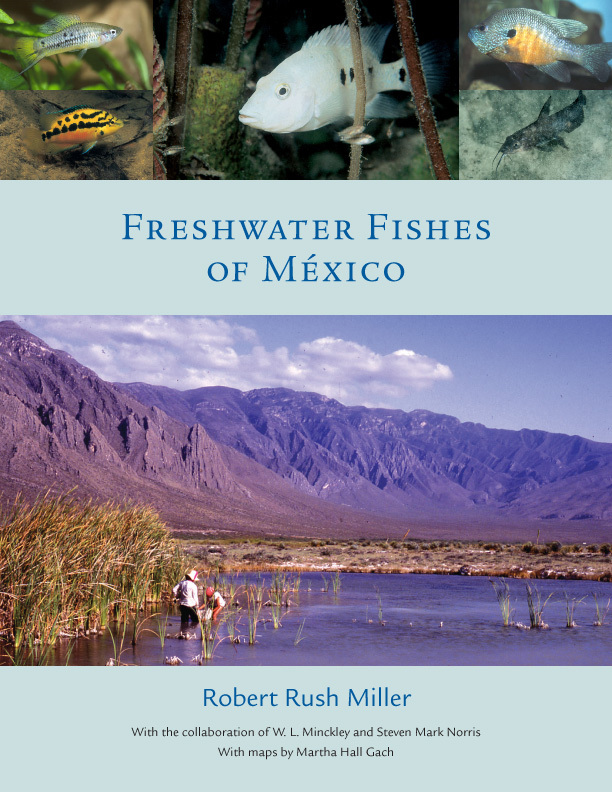 No one knew these Mexican freshwaters or the fish that inhabit them better than the late world-renowned ichthyologist Robert Rush Miller. A pioneer of the field, Miller undertook his first field excursion more than fifty years ago and, in the decades following, amassed the information necessary to write the first encyclopedia of Mexican inland ichthyology. Providing keys to more than 500 native species—accompanied by detailed distribution maps and illustrations—Freshwater Fishes of México offers a historical overview of the country’s ichthyology, as well as syntheses of the unique biogeography of Mexican fishes and their current conservation status. Organized by family, the species accounts are supplemented with color galleries containing photographs of live fishes in their native environments and natural habitats. Exploring ecological, biological, and taxonomic issues, the book also considers the evolutionary history of the ichthyofauna itself and the human history of the scientists who researched it during the last several centuries. The life’s work of Robert Rush Miller, the long-awaited Freshwater Fishes of México will be welcomed not only by students of Mexican fishes, but by all ichthyologists working in Central and North America. This book will also find an audience among home aquarium hobbyists, fishery managers, conservation biologists, and environmental planners and managers.